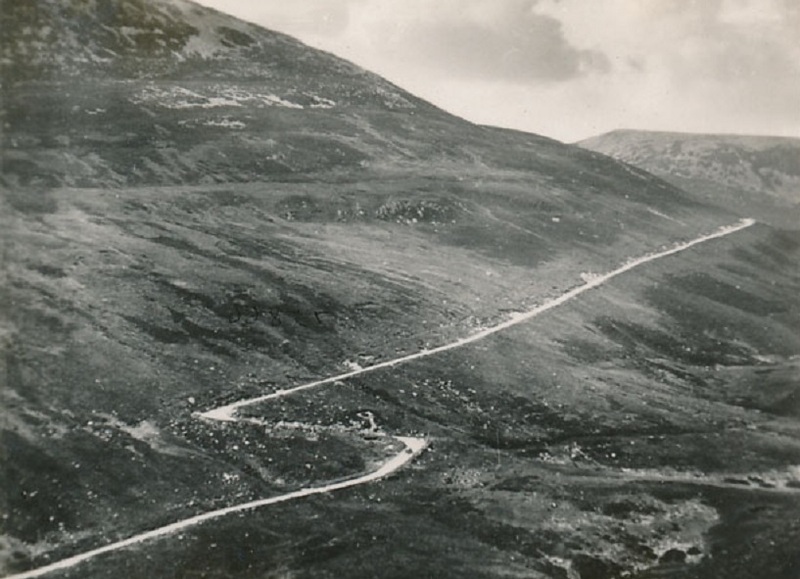 The Devils Elbow was a notorious bend in the road on the way up to the Cairnwell from the Spittal. 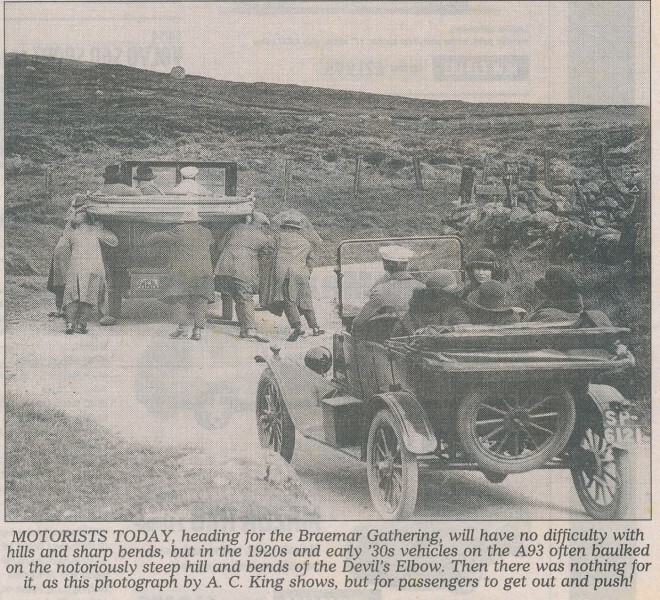 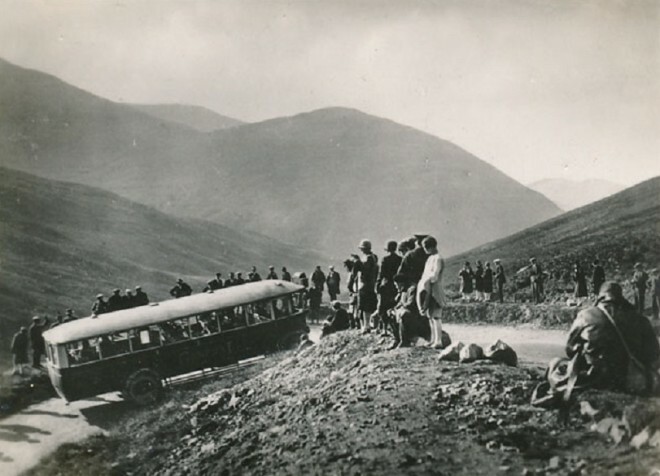 Passengers often had to get out of cars and buses, and sometimes had to help push their vehicle around the hair pin bend. Water was eventually placed at the elbow for cars that had overheated, but it has now been bypassed with a slightly gentler slope. 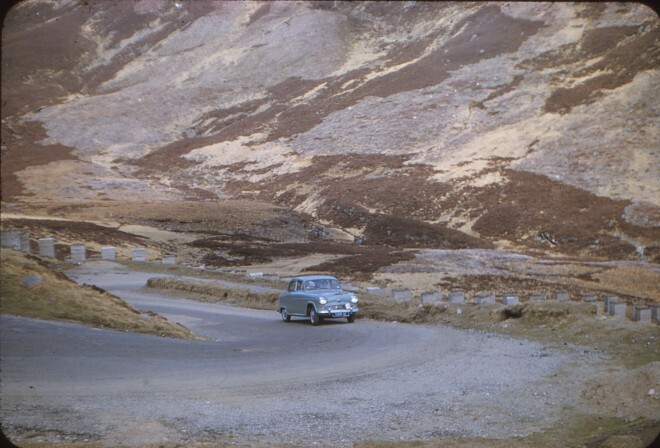 Note the large number of beehives around the elbow. 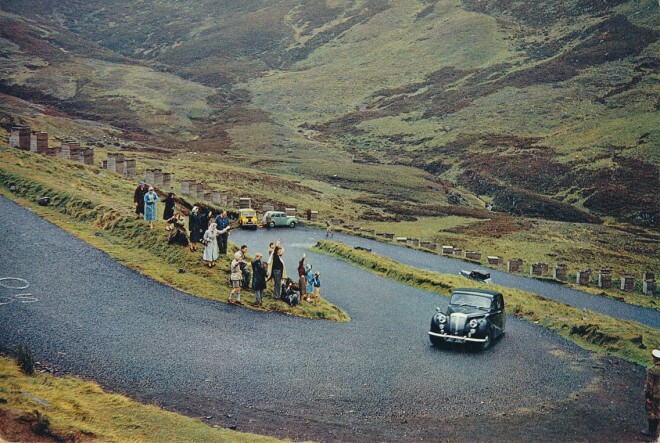 What appear to be beehives are in fact concrete pillars which were installed at the start of World War 2 as tank traps in case a German invasion came from the north of Scotland. Machine gun emplacements were also built and can still be seen.